The following is a guest post by David Recine, a testing expert at Magoosh. Your kids grow up so fast, don’t they? Sometimes it feels like they were just in grade school or junior high. And now, suddenly, they’re on the precipice of adulthood, trying to get into a good school. You want to help out now… but helping someone enter adulthood is a lot harder than helping someone enter kindergarten, or even helping them learn to drive a car. As parents, it’s good to understand your role in helping your son or daughter get into a good school. What can you do? What should you do? Let’s look at two big things you can do to help. Remember when the ACT was for Midwestern universities, and the SAT was for schools on the coasts? Tell teens that story today, and you just might sound old. In these modern, perhaps more enlightened times, the ACT and SAT are equal in the eyes of universities. No matter where that dream school is, it’ll accept either test. It’s great that college applicants have their choice of test these days. What’s not so great is how confusing that choice can be. Google “ACT vs. SAT” and try to figure out which exam is harder. The Internet will tell you all kinds of conflicting things. Why do some people swear the ACT is the easiest, while others are adamant that the SAT is far less tough? It’s because the decision to take one test or the other is a personal one! The “right” test is the one that best matches a student’s personal skills and learning style. This is where you come in. Nobody knows your kid better than you do. Take a parent-child “trip” where you explore the two exams. Check out a mock of each test, and have a family talk about which test is the best path to that school acceptance letter. For a side-by-side comparison, start with this full length practice SAT, and this mock ACT. From there, have a good heart-to-heart about which test might be easier for your son or daughter, and why. The best study plans are kind of complex. A good study plan is all about the right materials (test prep websites and books), the right supportive people (you, the high school guidance counselor, perhaps a teacher), the right study schedule, and the right study habits. Again, knowing your kid well becomes your superpower. Here though, you should also know yourself. What math, reading, writing, or science can you personally tutor? And when should you hire a tutor? What do you know about college admissions, and what advising should you leave to the guidance counselor? Can you hand-pick the best prep materials, or should you read some book reviews and see what’s working for others? Think about this carefully, then leap into action to provide the best support you can, while building a support network of other helpful grown-ups. Once you’ve worked to get some good resources lined up, have a conversation with your teen about something that probably comes easier to you than to them: long-term planning. Out of this talk, work together to build a schedule of study activities for the coming weeks and months. Then, be around to provide encouragement and mentoring as the schedule unfolds. And be ready to provide support and fresh advice when parts of the schedule inevitably don’t go as planned. Growing up is messy and rocky at times. So is raising a kid into adulthood. But you’ve already come so far; it’s almost time for your young one to leave the nest and go to college. So you can approach this home stretch with confidence. Not only are you a veteran parent, you’ve also been a teen before. 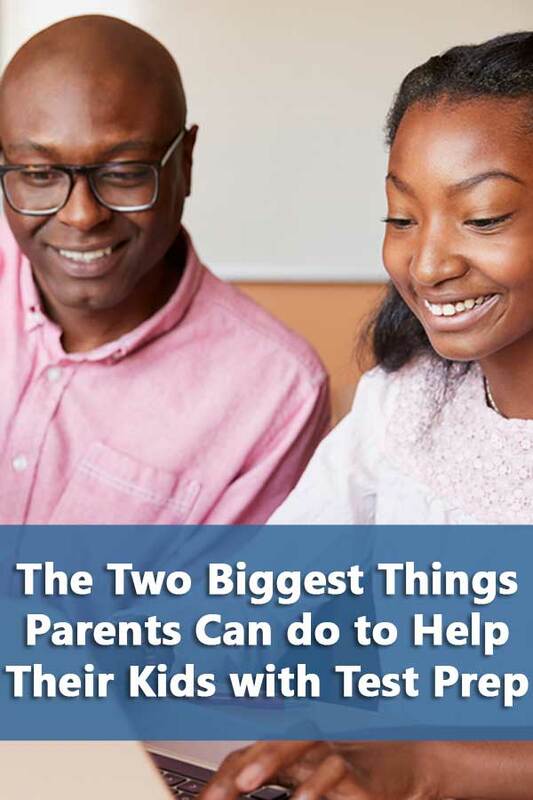 Your experience with your teen and your experience as a teen make you the perfect person to help with the important decisions everyone faces as they prep for college.